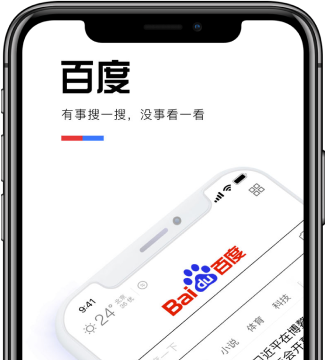 Baidu is Chinaâ€™s most popular search engine, often called the Google of China. 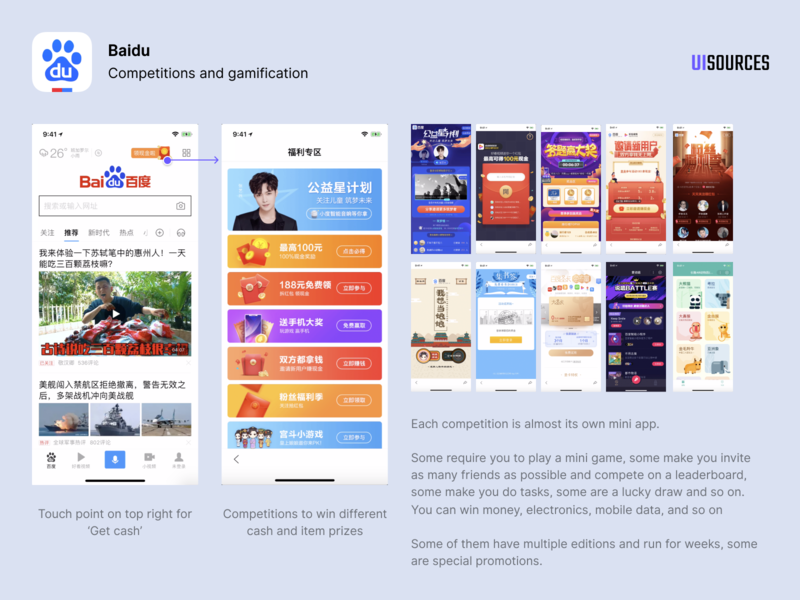 Baidu was founded in 2000 and has products in advertising, maps, news, autonomous driving, artificial intelligence and more. 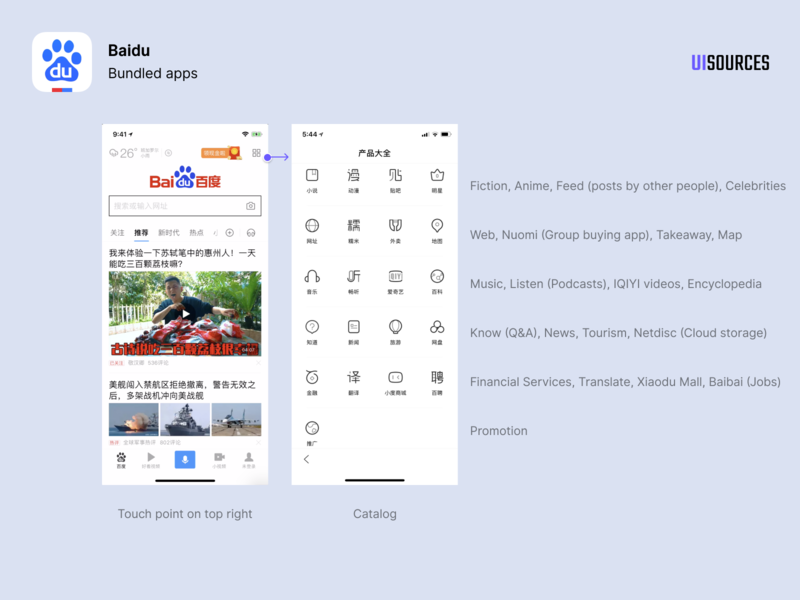 Baidu's iOS app has a bunch of features including search, weather, news, audio content, videos, user generated content, mini games, cab search, hotel search, train bookings, restaurant search. 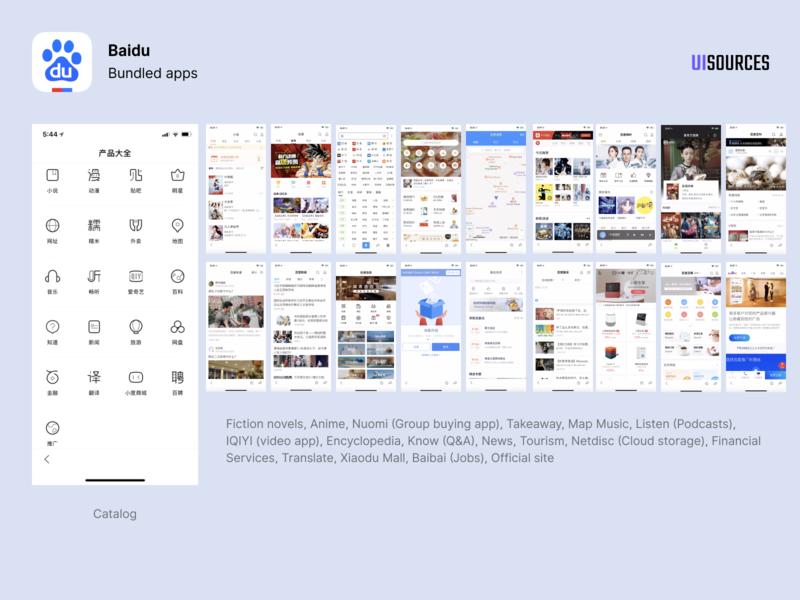 These are bundled within the main app and are just one or two taps away. 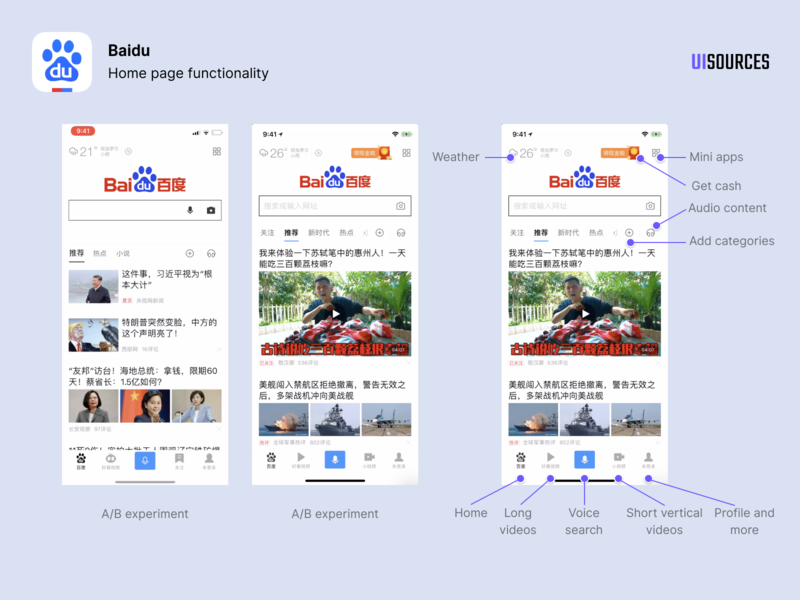 The home page's main call to action is Search. Under it, there are configurable tabs for topics you want to receive news from. The top navigation shows the weather and a way to access mini apps. 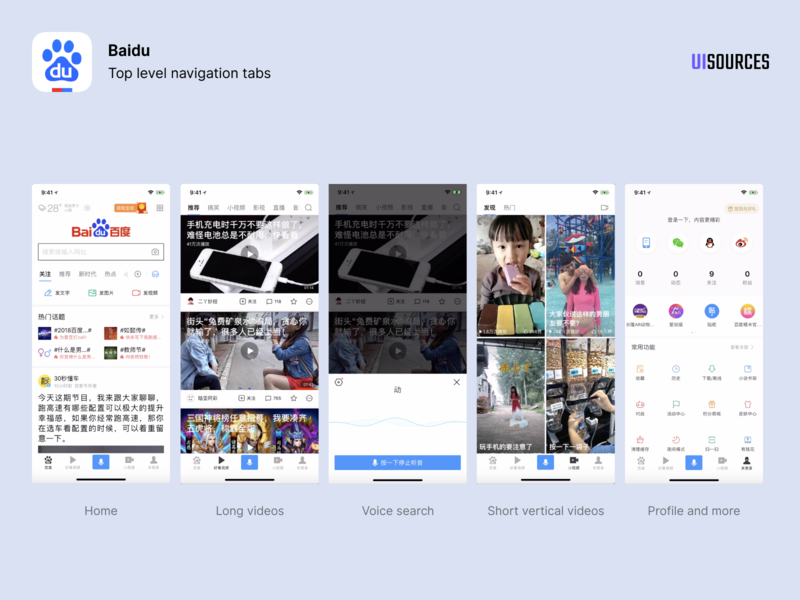 The bottom navigation's main action button is voice search. At the time I documented this, the other tabs were Home, Video, Bookmarks and Profile. These usually change often, probably as a result of A/B testing. 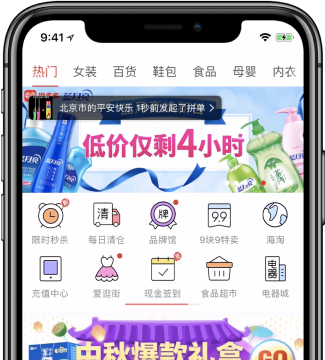 The touch point on the top right of the home page takes you to a list of competitions. Some of them have multiple editions and run for weeks, some are special promotions. When youâ€™re on mobile data or if your WiFi is not working, it enables data saver mode. Clicking on videos shows file size and asks for confirmation. 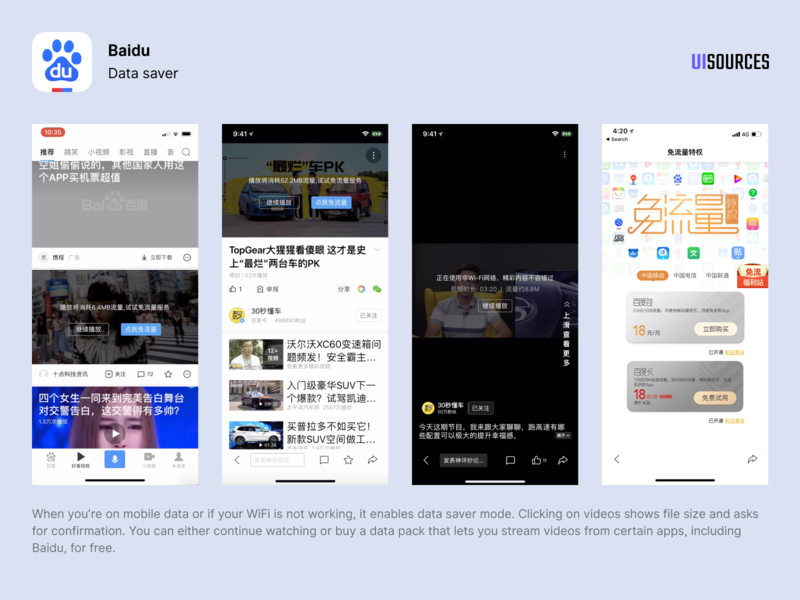 You can either continue watching or buy a data pack that lets you stream videos from certain apps, including Baidu, for free. 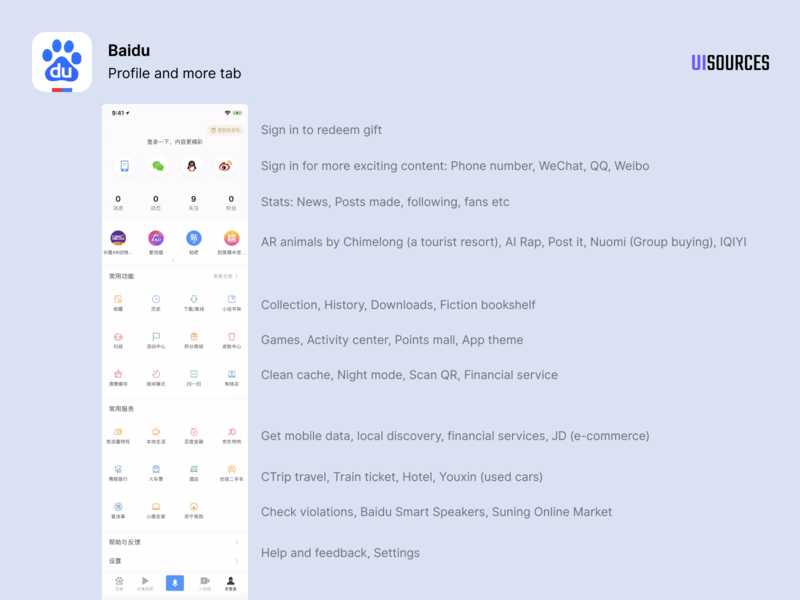 The main call to action on topof the page is to sign up via phone number, WeChat, QQ or Weibo. 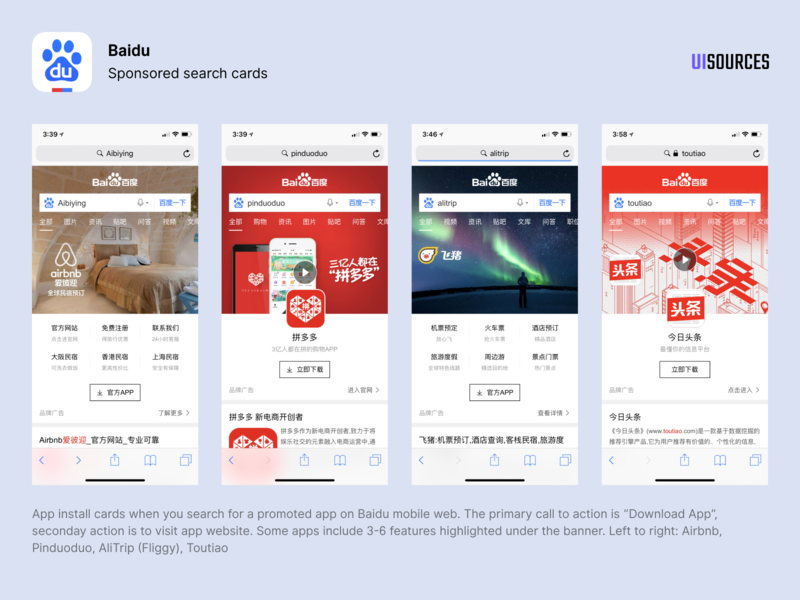 Splash screen ad: "Discover a bigger world with Baidu"
Install app interstitial on mobile web. 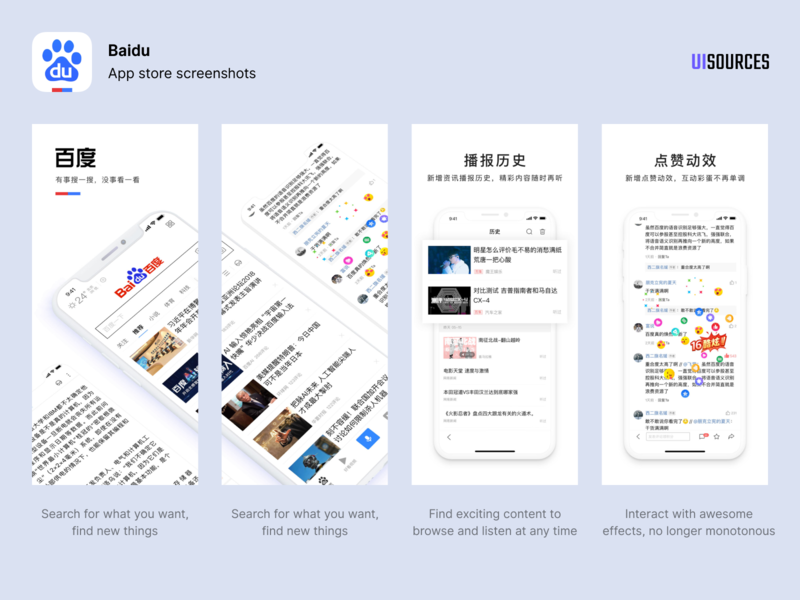 "Watch interesting videos on the Baidu App"